Casagrande UK supplies foundation equipment that’s tough, powerful, compact, highly manoeuvrable and designed for easy transportation. From large diameter piling rigs to small diameter drilling rigs, equipment for diaphragm walls, tunnel-drilling machines, geothermal drill rigs, grouting plants and hydraulic crawler cranes. Whatever your project call Casagrande UK. 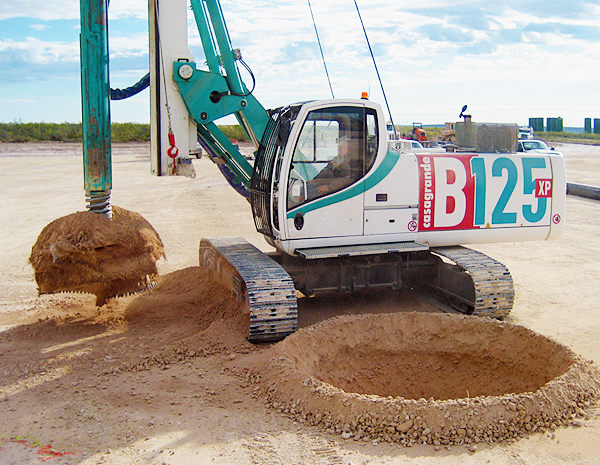 We can help advise you on the right equipment to meet the requirements of even the most complex and technical drilling, piling or diaphragm wall projects.